Expanding the Vizi Series of professional-calibre moving heads, the new Vizi Wash Pro is ADJ’s most powerful wash fixture to date. 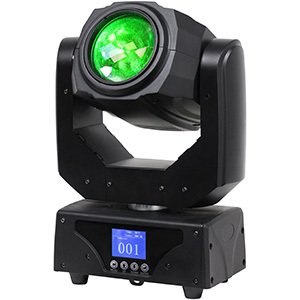 Powered by 19 x 30W RGBW Osram LEDs and boasting motorized zoom that offers a beam angle of between 5 and 50 degrees, this potent fixture is equally suited to tight mid-air beam effects as it is to far-reaching wash lighting. 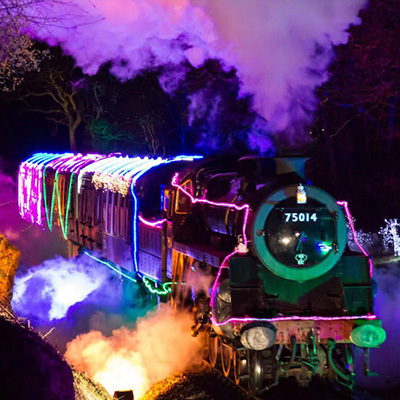 It’s LEDs are also arranged in three concentric circles, which can be independently controlled to allow for dynamic eye-candy effects. Another fixture to utilize ADJ’s new ‘dim to warm’ LED technology is the Saber Spot DTW. This new version of the popular Saber Spot LED pinspot unit is designed for applications where an authentic tungsten-style illumination is required. 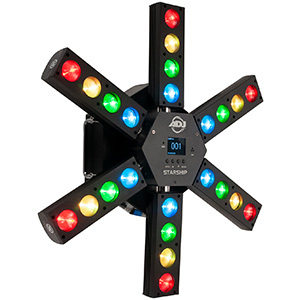 The compact fixture features a 15W warm white LED, a scissor bracket system that allows it to be hung or set on the ground and it also incorporates a built-in ACL lens to produce a 20-degree beam angle making it perfect for table spotting. 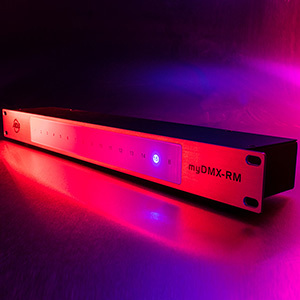 Following the success of ADJ’s Color Stand LED, the speaker tripod with LED-illuminated legs, NAMM 2018 will see the debut of the new LTS Color. This unique lighting stand can support an evenly-distributed load of up to 100lbs. (45kgs) and is supplied with an IR remote which can be used to select a wide variety of static colours and dynamic chase patterns. 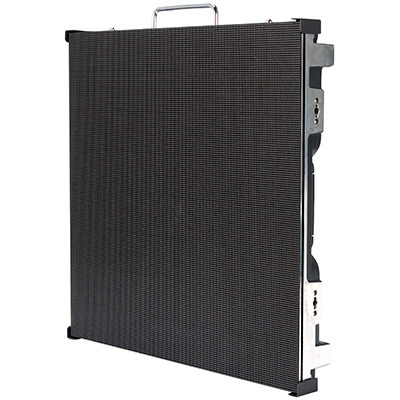 Ideal for mobile DJs who want an eye-catching alternative to a regular lighting stand, the unit could also prove useful as an aesthetically-pleasing way of highlighting the potential trip hazard of tripod legs. 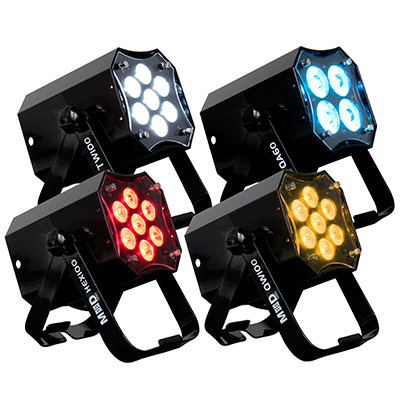 ADJ is also introducing new white housing versions of two of its popular lighting products. 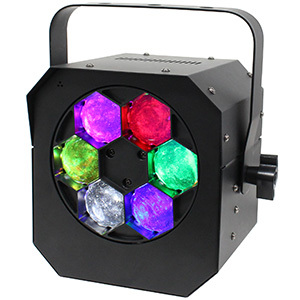 The already shipping Element HEXIP Pearl is an IP54 outdoor-rated battery powered LED Par with ADJ’s WiFLY EXR wireless DMX technology that is powered by four 10W RGBAW+UV (6-IN-1) HEX LEDs. 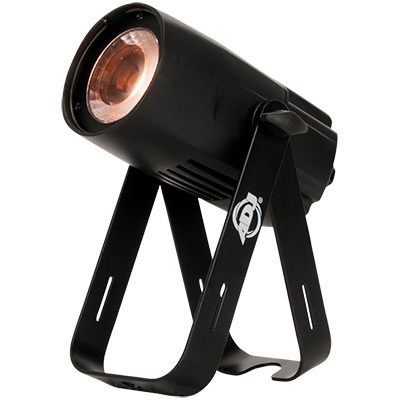 The Element HEXIP Pearl is lightweight and easy to operate with a built-in carry handle and kickstand, making it ideal for up-lighting duties. The Pocket Pro Pearl is a new all-white housing version of ADJ’s compact, yet powerful, Pocket Pro spot-style moving head fixture. 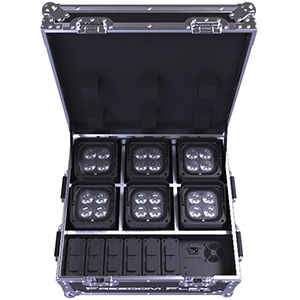 With a punchy 25W LED source, powerCON input and 3-pin DMX In/Out, the Pocket Pro Pearl features an easy-access head which allows the seven stock GOBOs to be replaced for custom designs. 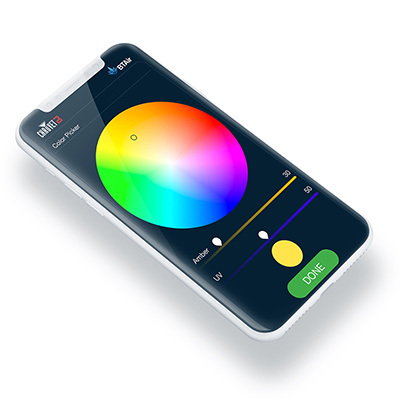 It comes with four additional GOBOs and a built-in colour wheel with seven vibrant options.